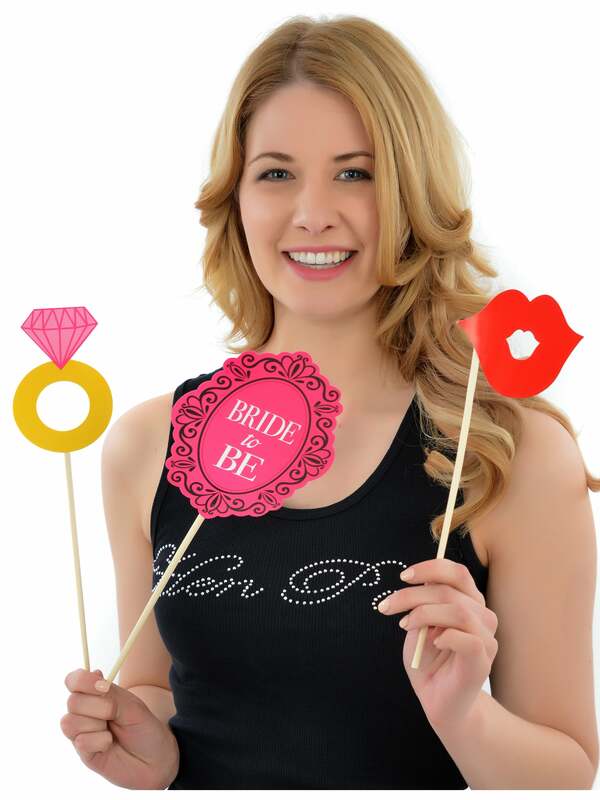 Want to have some photo booth pictures on your hen night, but don't want to hangout at the train station? With these amazing Photo Props you can re-create that photo booth look anywhere! Set a designated area, leave the props and laugh at the photos you'll create. This amazing pack features 10 different props, including signs, glasses, a ring, a glass, a crown and luscious lips. Why not add this quality photo album to your order, so you can cherish the memories from your last night out? Review - I ordered these props for my friends hen party on 5th sept, however when I opened them on the day - 4 props were broken (prop pic had come away from the stick)I was very disappointed as was looking forward to using these for our picture. I was very disappointed as was looking forward to using these for our picture.